Travelling by limousine is fun and exclusive. But for many of us, it’s a rare experience. It’s the sort of thing we only do on very special occasions like weddings and stag/hen parties. That’s why, when the opportunity to use a limousine does come around we want to be able to make the most of it. Here are some tips designed to help you the next time you hire out a limousine. The best way to ensure that you have a good experience when buying a limo is to use the right company. Companies like BuyLimos.co, for example, have built up considerable experience over the years. They’re in a much better position to provide you with a great experience than, say, a brand new company. Before signing up to any agreement with the company for hire, investigate their terms and conditions. Before hiring, make sure that you have a copy of the agreement and what it says about cancellation. If you’re not happy with the cancellation policy, go with a different provider. It’s an unlikely outcome, but it’s still possible that you may be involved in an accident in a limousine. Before even stepping into the car, ask to see proof that the cars are fully insured. You don’t want to be liable for any damages caused to a third party. If customers have had a bad experience with a limousine hire company, you’ll likely find out about it online. Customers who have had a bad experience are generally very motivated to complain about their experiences. One or two bad reviews you may be able to ignore. But be wary if you find many reviews that are all negative. It’s a sign that you should go with a different hire company. Riding in limousines a rare opportunity for many of us. That’s why you should ask the driver if it’s possible to take shots of the car en route. Often you’ll want to hire a limousine for a two-way trip. You know the time that your event will start. But often you don’t know exactly when you’ll finish. That’s why it’s a good idea to book out a limousine service for a window of time for your return journey. Parties can go on through the night, but you don’t want to be watching the clock while you could be enjoying yourself. Don’t risk being dragged away from a party just because you’re limo has arrived. Book it out for a couple of hours after you expect to finish for added flexibility. Demand for limos during peak season can be very high. That’s why it’s a good idea to book out a limousine early. If you’re traveling with a group of friends, organize your trip at least two weeks in advance. Limos are exclusive vehicles. And sometimes they can break down and go wrong. In this situation, ask the hire company if they have any backup options. Often you should be able to use another vehicle, although it won’t be as luxurious as a limo is most circumstances. Tipping limousine drivers is one of those unwritten rules, like tipping a waiter. Don’t forget to bring some change with you so that you can tip the driver. 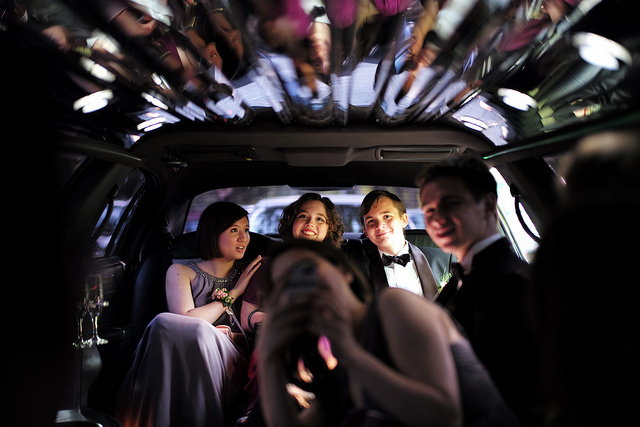 If you’re a party of four, you don’t need the biggest limousine with the largest capacity. A four-person group will only need a limousine that has been extended by 60 to 70 inches. Getting a larger limo will only cost you extra money. Check what payment methods you might need in advance. Does the hire company accept cash, cheques or credit cards? When you’re looking for a luxury experience in a limousine, the last thing you want is for it to be a glorified taxi ride. Before you set off, check what else is included in your limo package. Does the hire company provide champagne, ice, and other refreshments? Check this beforehand so that your trip doesn’t end in disappointment. 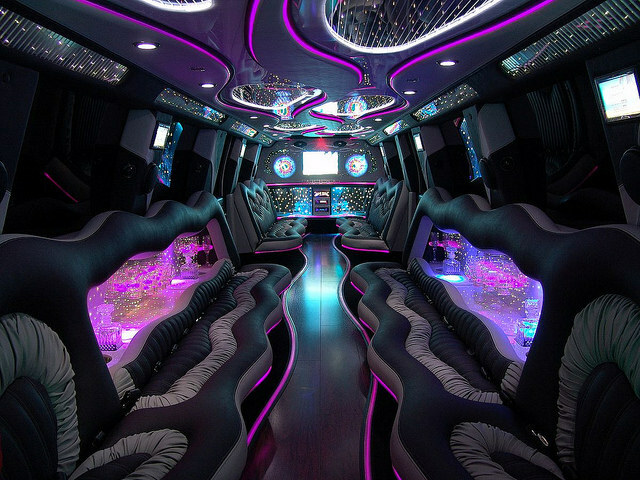 Reputable limousine companies usually belong to industry associations. These industry associations guarantee that the hire company abides by their insurance regulations. Check that the hire company that you choose is affiliated with the National Limousine Association at limo.org. Every limousine company in the US is required to have a permit. These permits are issued by their local department of transportation. It’s just another way to separate the professionals from the cowboys. Some limousine companies may try to tempt you to go with them on price alone. But often it’s not the case that they’re simply more efficient companies that can offer a better price. Often it’s because they’re cutting corners. For example, cheaper hire companies might show up late because they have to cram in more trips in a single day. Obviously, if they show up late, you won’t be getting to where you want to go anytime soon. It’s always a good idea to tell the hire company as much as you possibly can about your individual needs. This way the company will be able to manage your expectations and put on the service that you want. When it comes to hiring out a limousine, there is an enormous amount of choice. Limousines come in all shapes and sizes. There are regular limousines, SUV limos, and even limo buses. Each type of limo comes with a different price tag and can be used for different events. When you’re travelling to an event as a group, you all want to arrive at the same time. That’s why you should, if you can, hire one large limousine instead of several smaller ones. Previous page Previous post: Are Red Bull starting to emerge once again?